Taking Back My Mornings and Preparing For The Weekend! Are you a planner? I am a planner. I've got the monthly calendar on the fridge. I plan out which activities are going on throughout the city, see what fits in our schedule. Between parties, sports, school and family events, we've got a lot going on. But even with all of the planning, some nights I stay up late, oversleep and rush the mornings, even on the weekends! But this time, I am planning to take back my morning, by planning and preparing the night before, so I can wake up, get ready at a leisurly pace and with a clear head. And to help me do that I need some coffee! 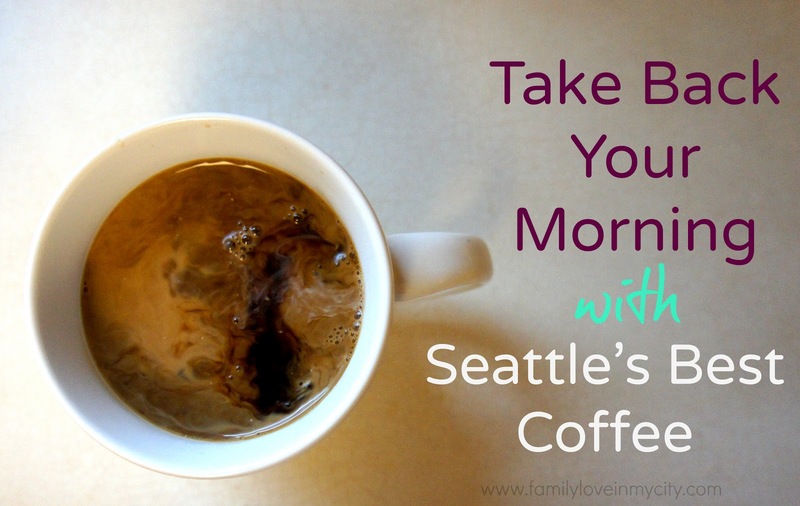 Preferably some Seattle's Best Coffee. 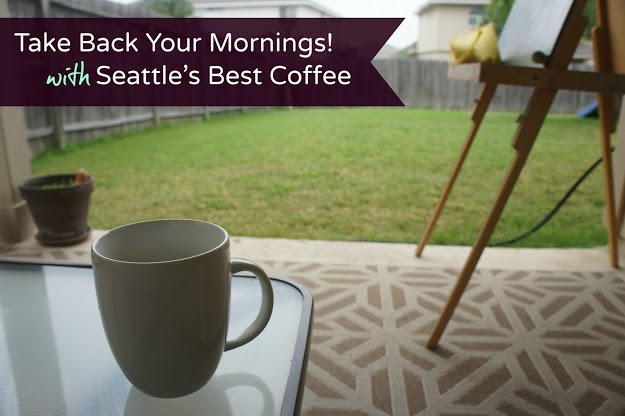 So Friday night, I went to Walmart, and my plan of action was to buy a programmable coffee maker, set my alarm and wake up to some fresh brewed Seattle's Best Coffee. I figure if there is one less thing for me to do in the morning and I had a fresh cup of coffee brewing as I woke up it would ease our busy Saturday morning of basketball games and the local book festival. And that's just what I did! I even got to spend a little bit of one on one time with this little man. 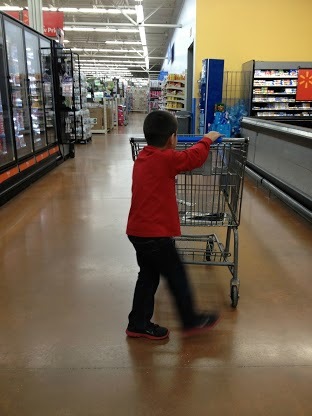 We cruised the aisles and I picked my bag of coffee. There are seriously so many to choose from. We also browsed the coffee makers and the toys aisle to be fair. You can see my entire shopping trip on my Google + photo album. Back at home, after I put the kids to bed, I set my coffee maker with my Seattle's Best Hazelnut Coffee and went to bed! The next day, I woke up before everyone and took back my morning by sitting outside on the patio and enjoy my fresh brewed coffee. 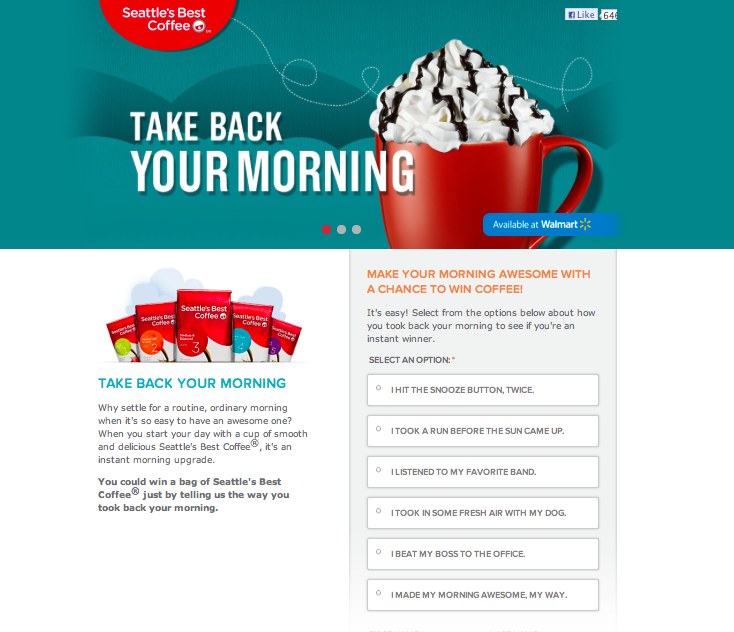 Seattle's Best wants you to take back your morning, by offering you a chance to win a bag of free coffee, and just for playing they will give you a coupon! Check your the Take Back Your Morning and Win website! You can also follow Seattle's Best on Twitter and search the hashtag #TakeBackYourMorning for more inspiration! I love a quiet morning before all the noise of everyone waking up. You have an easel too? There is nothing like that morning peace! And yes, we had the easel inside for so long, but put it out recently so the kids would use it more! Hope you are having a great day Alvina! I am a semi-planner...LOL! I like to think I am organized and try to plan ahead...if I get really dedicated I do it... if not..I am totally like Candy. I got to bed late in an effort to get it all done and then tend to sleep in a bit... But when I do wake up before everyone the peace and quiet is awesome! This sounds SO nice. I really need to get better at planning. My days are downright hectic. I am not a planner, but I am a big fan of starting the day out slowly, with a cup of coffee and a few moments of quiet. It helps make the rest of the day go well, regardless of what else happens.